Thank you, Casey, for inviting me to post here today! I didn’t set out to write three series at the same time. I didn’t even set out to write one. 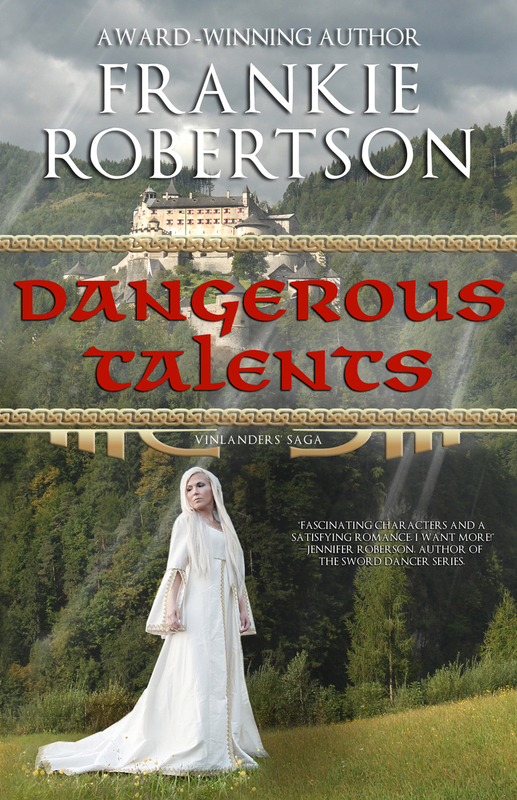 At present, I’ve just published FORBIDDEN TALENTS, the 2nd book of the Vinlanders’ Saga; LIGHTBRINGER, book one of the Celestial Affairs series is out; and BETRAYED BY TRUST, the first of the two TRUST books is waiting to be revised. Scattering your efforts like this is not the best way to build a following! That’s the problem with creating complex worlds and interesting secondary characters. People want to know more about them. 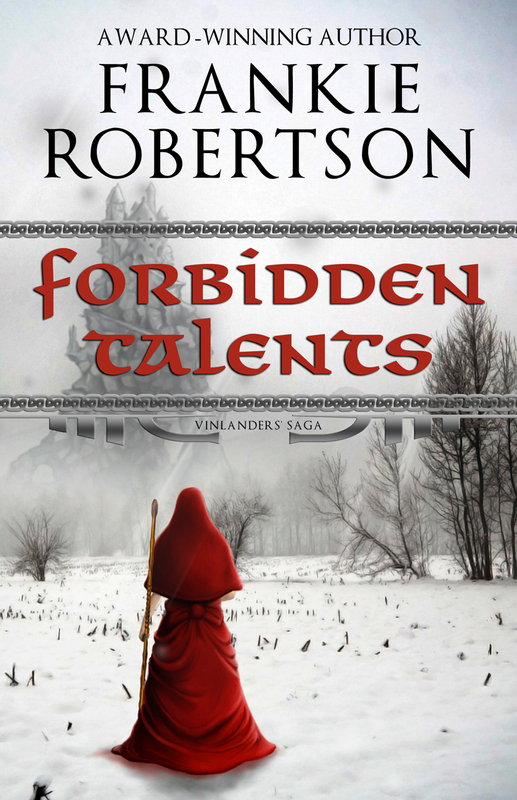 At the time, writing a sequel to an unsold book was not considered a smart move, but I didn’t have anything else in mind, so I did as they asked and began writing FORBIDDEN TALENTS. I didn’t want to ignore the main characters from the first book, though, so I decided to weave Celia and Dahleven’s continuing story into Ragni and Saeun’s romance. Now I had four POV characters and two main plot lines. That’s where I ran into trouble. I got almost halfway into the book and ground to a halt. Writing stopped feeling good, but I was too inexperienced to understand what was wrong. I was also too stubborn to work on something else. I just kept banging my head against that wall trying to make it work, and the story kept saying, NO. Finally, somebody, somewhere said something that made the light go on. I wasn’t thrilled with what I saw. I had taken a serious wrong turn in chapter two and I needed to rewrite the first 200 pages, completely excising a really neat character in the process. You’ve heard the saying, “Kill your darlings”? That’s what I had to do. But after I committed charactercide, the story fell into place. Writing became a joy again, and in the fullness of time FORBIDDEN TALENTS was complete and revised. DANGEROUS TALENTS and FORBIDDEN TALENTS are long books, as you might expect romantic fantasies set in another world to be. How did I keep everything straight? I kept a folder of loose notes of character names and descriptions (later a computer file), and a calendar to keep track of what was happening to which character, when. And I had really good critique partners. Even so, my fabulous editor Rochelle French at Edits that Rock still caught a few discrepancies. I stumbled into writing the Celestial Affairs series in a similarly accidental way, by writing a secondary character into LIGHTBRINGER that folks wanted to know more about. And when I started writing BETRAYED BY TRUST, I thought it was a standalone book, too. Wrong. It turns out these were fortuitous mistakes. Writing a series, especially as an indie author, is good for business. The readers who love your characters will come back for more, and the folks who discover you through the 2nd or 5th or 32nd book in the series will go back to look for the first. Keep a “bible” of characters including their backgrounds, appearance, and relationships to other characters, and their involvement in major events. Use a calendar to keep your timeline straight. If you’re writing a closed end series (not just connected novels), create an arc from the outset instead of figuring it out in the middle — the way I am. If you have control over your covers, make sure they reflect the tone and genre of your book, and that they look connected to each other through fonts and composition. It’s also important to make each book stand on its own so your readers aren’t frustrated by a cliff-hanger while you finish the next book. And unless you write really fast, it’s probably better to write just one series at a time. Do as I say, not as I do. 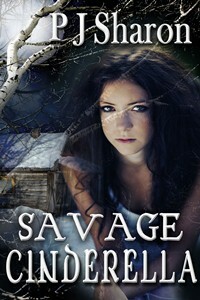 Frankie Robertson can’t seem to stop herself from writing paranormal romance and romantic fantasy series. She lives with her husband in the desert southwest where her backyard is visited by bunnies, quail, hawks, and bobcats. If you want to know more about what Frankie is up to, please visit her website: http://FrankieRobertson.com. Thanks so much for being our guest today Frankie! If anyone has any questions or wants to share their method for creating a series, please jump in! Previous PostMurder Comes to the Scribes — Interview with Mystery Author Lucy BurdetteNext PostI finished something! Hi Frankie! Thanks for being our guest today.This is all great advice. I’ve had a similar experience trying to write second books. I actually took a break and wrote a completely differet novel. And now I’m back on track writing my sequel. But still I’ll be so happy when that first draft is done! I dread continuity errors in my books. I’ll definitely have to start keeping a “bible” on my characters, plots etc. Good luck with your books, Frankie. Lots of books have such errors. I remember reading Charlaine Harris’ Sookie Stackhouse books were riddled with them, but they’ve been corrected in later editions. Great info, Frankie. I’m just releasing Book One of a trilogy and plotting (OMG! did I say plotting? The pantser gods are howling with laughter) Book Two. I like the bible idea as well. That would certainly help get me organized for keeping the details straight. Thanks for the tip. Good luck with your trilogy, P.J.! I’m a bit of both a pantser and and a plotter. I start by writing a few chapters and getting to know the characters, but pretty soon I have to know where I’m going. My outlines are never so detailed I can’t take a few detours, though! I’m finding that writing a series with a definite end is much the same. With the first book I could go wherever I wanted to go, but now I’m discovering that I need a more detailed outline for the rest of the Celestial Affairs books. Hmm, maybe I should make it an open ended series. . . This is excellent advice — especially the part about not scattering energies, something I’m terribly guilty of. Thanks for visiting us, Frankie! I really like the sound of your books. Thanks, Susannah! If only I were as good at taking my own advice as giving it! Thanks Frankie, great tips. Editing is what writing is about. Painting is the same. Edit the minutia and then some. Thanks, Gail. Editing is SO important! I’ve learned a lot from great critique partners over the years, and I’ve found a wonderful editor that “gets” me. Thank you for the tips, Frankie! I’m guilty of wanting to do too many things at once in writing and in other parts of life. I chuckled seeing “accidental” in the blog title. This probably happens more often than we suspect. I recently began writing what I thought would be the first of 2 volumes, each with 2-3 novelettes. Having published ebook shorts with some success, this seemed a fun idea and a logical next step. It also seemed a smart way to transition into writing the novel I’d just begun to outline. Well, the best laid plans as the saying goes… By the time I’d drafted 10 pages of Vol 1, I had an outline for 7 more volumes in my HEROES series with 2 novellas in each and frequently another storyline will poke and prod to be included in my outlines. It looks like I’m taking a similar path, but with a shorter form. It’s good to hear this is a positive selling angle for readers. Sometimes the happiest occurrences are accidental ones. Best of luck with your books! I’m right there with you, Roxy! I have so many ideas, and not enough time to execute them all. Good luck with your HEROES collections! Great post. Do you keep your character bible on the computer or do you have a binder? That’s a good question. I do a bit of both. I started out years ago keeping loose notes, a calendar, and a map (for the romantic fantasy) in a file folder. (This is also good for keeping track of magazine pictures of settings and characters, though you could scan these if you like.) After a while the character list went on the computer because it was easier to flip between files when I was writing and came up with a new character I had to keep track of. Thanks, Katy! It’s been a pleasure! Thanks again, Casey, for inviting me to guest post! And thanks to everyone who commented. It’s been fun!